I'm excited to link up with The ESOL Odyssey to look back at my very first year of teaching. Since I am about to enter my 10th year, it seems like a perfect time to look back on my first experience. My first experience wasn't really a first year, as much as it was a taking over a fifth grade classroom on April 26th of 2005, roughly 4 weeks before I would even earn my master's degree. The teacher in the room had decided to return to his job as a postal worker with just under two months left of the year. I was hired on full-time, not as a long-term sub. I became a teacher in another teacher's room, really. Since that wasn't a full year experience, I'm going to reflect back on my first full year, which happened in the same school in Western MA the following school year. What age group and subject were you teaching? I was teaching third grade, all subjects. What was your first classroom like? I remember that my first thought was that my room was huge and I still think it was the largest classroom that I ever had. The building was super old. 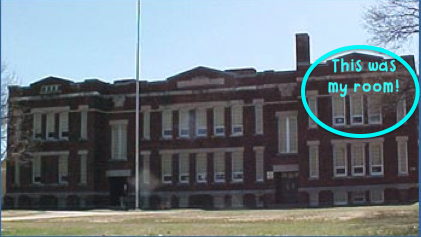 In fact, it was built in 1904! I was on the second floor in one of two buildings that weren't connected. The ceilings were high and I had a corner classroom so I had a lot of windows. My lights never worked though so on days that weren't sunny, it was pretty dark in there. It was also really dusty. I remember mopping, scrubbing, dusting, and doing everything I could to keep it clean even though we had great custodians. There was constantly dust in the air no matter what I did! I also remember that it was super cold in the winter (and winters are cold in Western Massachusetts) and super hot in June and September (no central air in a 100+ year old building) There was lots of storage space. Were you given supplies or materials? I don't remember getting a lot of supplies, though I am sure we were given the basics. I'm one of those people that always stocks up on materials during the summer so that may be why I don't recall. I remember that I had already built a substantial classroom library because I ordered tons of books through Scholastic during my student teaching so I had a good little library going. What was the hardest part of your first year of teaching? The school was in danger of state takeover so there were a lot of people coming in and observing all the time. At one point, we had a meeting where higher-ups from the district came in and gave us a "prescription" for teaching reading. With this prescription came a timer and a plan for every second of reading right down to the minute. I felt like all of my creativity had been stripped away in one moment. I remember bawling right in the middle of the meeting, thinking that I had not become a teacher to be a robot. I had to learn how to follow exactly what the district wanted and still be creative and engaging, and I met the challenge, and surely grew a lot during my first year as a result. What was the best part of your first year of teaching? 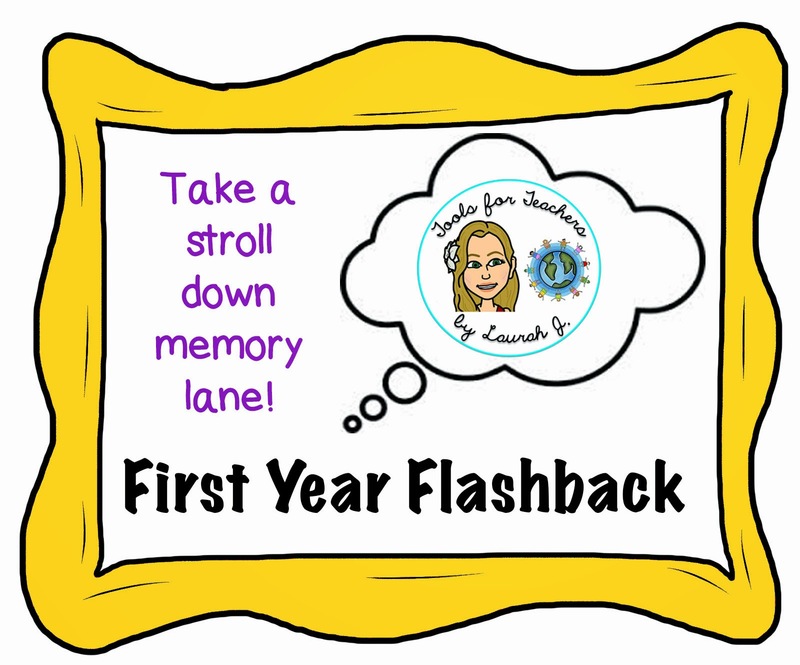 What do you know now that you wish you knew that first year? I wish I had understood differentiation as much as I do now. During my first year, differentiation just meant putting students in different groups and attempting to address their needs based on the groups I could fit them in. I now understand differentiation to be so much more than a leveled reader! This was such a fun reflection time right before the year begins! Be sure to head over to the linky and read about other first day experiences! Did I Just Leave The Dollar Tree With That Many Bags? Summer Task Card Organization Mission…Complete! Mmmmmmm! Math is Real Life August Linky! The thoughts and opinions expressed here are mine and mine alone and do not represent the thoughts and opinions of my employer. © 2015 Mrs. O Knows. GLS Felicity Template • Customized by A Bird in Hand Designs • All rights reserved.